Music is divine. Manipulating each music aspects and creating a new work of music is referred as music composition. In earlier day’s musicians create music’s by writing symbols in a musical sheet. A musical notation is a visual representation of aural music which is used to teach the elements of music to children’s and music enthusiasts. If you are interested in learning and creating music in a digital manner then you are at the right point. Here we will see some best list of free music composition and notation software. Composing music and learning the aspects of music from your own computer is worthwhile and it could be more pleasure too. 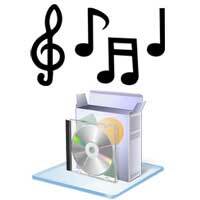 Music composition software is useful for recording and composing music for example creating your own soundtracks or an audio file etc. Musical notation software offers various notation symbols in which you can create a printable music sheet. It saves huge time that is the software writes symbol instead of handwritten music. Musical composition and notation software must be well functional, so that you can produce any style of music that you want. Whatever it may be, whether you are learning to write music scores, to create flute chords, to write guitar solos or to learn keyboard notes, these software’s will be helpful for you in one way or other. There are tons of free and paid softwares for music composing and notation. By considering the interface, functionality and usage we have listed some best free music composition and notation software. Musescore is a best free notation software available online with various customization options. Musescore is a tool for composing and editing sheet music. In Musescore you can create score from scratch or you can create score using templates. You can create a printable music sheet from a midi file and it can also open Music XML file. Other than that you can export files into various formats such as PDF, PNG, WAV, FLAC and mp3. Musescore still has got various features like plugins in which you can extend its capabilities. It’s not that you are beginner or expert; with Musescore you can acquire great skills in notation. You can get various useful resources as a PDF hand guide as well as in forums. Musescore is open source notation software which runs on Windows, Mac and Linux. Also it supports more than 40 different languages. Crescendo is a free composition and music score writing software. It is easy to use and offers intuitive interface to work with musical notation. Crescendo has wide set of notation symbols, time signatures and key signatures. You can arrange your professional sheet music, create music compositions, save it and print it to your computer. This software is more useful for professionals where they can create a band, music for film, tracks and score. Crescendo is a free software that works on Windows XP, Vista, 7 and 8. Hydrogen is a drum mixer and sequencer in which you can create rhythms and beats. It is very easy to use, fast and has got a user friendly graphical interface. It has unlimited patterns and loops in which you can compose a song by combining patterns. You can import sound formats in .wav format and you can export your work to wav, midi files. There are still lots of feature to go. Hydrogen is an advanced free drum machine that operates on windows, Mac and Linux. It is a free music composition software similar to the paid software Guitar pro. This tool is for guitar users where you can compose music and notes for guitar from scratch. Some of the features of Tux Guitar are tabular editor, tempo management, score viewer, multitrack display, time signature management, note duration management and various sound effects. Using Tux guitar’s build in tuner you can tune your guitar. Tux Guitar operates on Windows, Linux and Mac computers. First of all LilyPond is a command line utility that is used to create high quality sheet music. You have to input music like a programing language that is LilyPond will have no graphical interface. LilyPond is beginner’s friendly music engraving tool where you can create quality sheet music easily. You can get documentation in LilyPond site and it also offers you various tutorials in which you can improve your learning curve in musical notation. If you need a graphical interface then you can use Denemo which uses LilyPond to create notation. LilyPond is free software which is released in general public license. It is compatible with Windows, Mac and Linux. Denemo is a free music notation editor tool which uses LilyPond music engraver to generate beautiful sheet music. In Denemo you can input, edit and compose music using your keyboard, mouse or midi input device. Denemo supports MIDI file to create and PDF file to import. To learn more, you can download documentation, manuals and tutorials. Denemo runs on Windows, Mac and Linux. Temper is another free music composition software. It is a MIDI audio composer, sequencer and recorder. Some of the features of Temper are; Powerful and user friendly MIDI editing environment, advanced sync functionality and composition tools, multi-track editing, multicore audio engine etc. Hope this list of free music composition and notation software will help you. You will definitely love it especially if you are a musician. All the above software is free so try all and give us your feedback. If you know any other free music composition software or notation softwares then please mention below in comments.